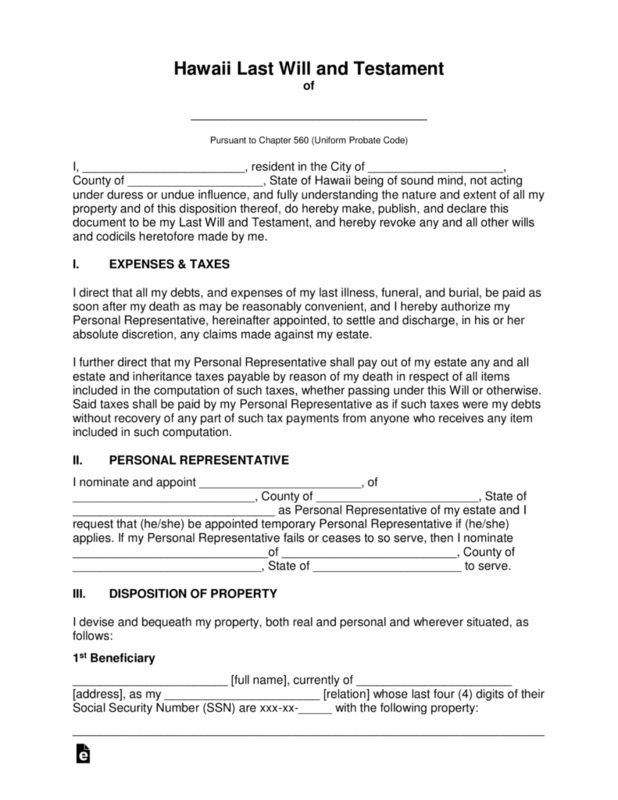 The Hawaii Last Will and Testament is a legal document that is vital to ensure that the testator (whom is the creator of the document), will maintain the peace of mind that their personal property, real property, digital property, fiduciary holdings and savings, among other things that have always been important to their families will be properly distributed according to their wishes, upon their death. Most testators would like to know that their property will continue to provide and protect their families, friends, even their pets, when they are no longer available to provide for them. This is the vital importance of this document. 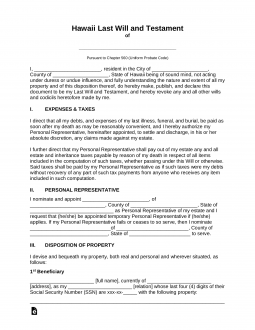 This document will require two witness signatories as well and the witness of a notary public in order to be properly acknowledged in the state of Hawaii. Signing (HI Section 560:2-502) – Signed by at least two Witnesses. The Testator must review the remaining information pertaining to how property is distributed in the event any member of their group of beneficiaries pre-decease the testator.